The Military Aviation in Colombia was founded after the usage of the aviation during the first world war which was considered as a decisive weapon in combat. The Colombian government ordered the creation of the National Aviation, by means of Law 126 of December 31 1919. During the Second World War the army and navy incorporated inside their own organizations air units to assist in operations. 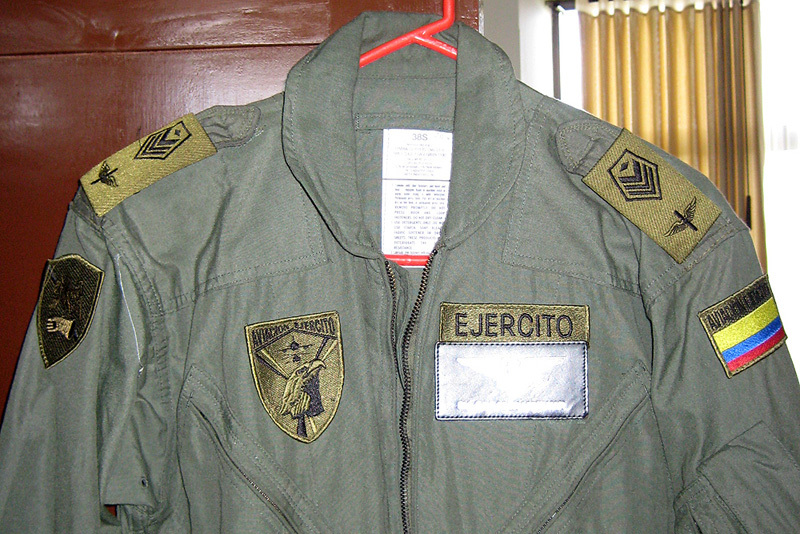 The Army Aviation was not fully developed until August 25, 1995 when it was officially activated under the name "Aviación Ejército" (Army Aviation) Their main objective is to support ground operations from the air. The town of Tolemeida is located 90km away from Bogota, but at sea level. Keeping in mind that Bogota is at around 9000 feet altitude, you can imagin the road all the way down to Tolemeida. At the Helicopter ramp you see rows of UH-1H, UH-1N, UH-60A, and MI-17's. The total number of machines is 170, spread around the country in the ongoing war against the terrorist group FARC. I was told the number of aircrew includes is up to 500 people like pilots, mechanics and gunners. While talking to some mechanics, they told me the most common mechanical problem all over the fleet, are bullet holes....this is an army at war. 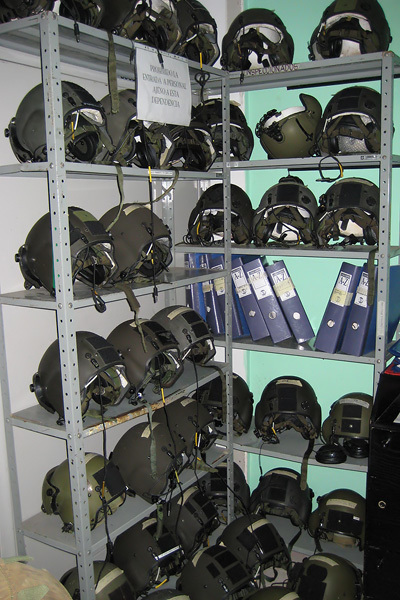 The aircrew life support equipment (ALSE) is very impressive, with rows and rows of HGU-56/P and SPH-4/B helicopter helmets. The older SPH-4's are being phase out at the time of our visit. All the crew members are NVG qualified and therefore over 500 sets of ANVIS-9 were around. The aircrew wear the CWU-27/P flight suit in Sage Green, noticeble difference with US Army versions, is the presence of shoulder tabs. 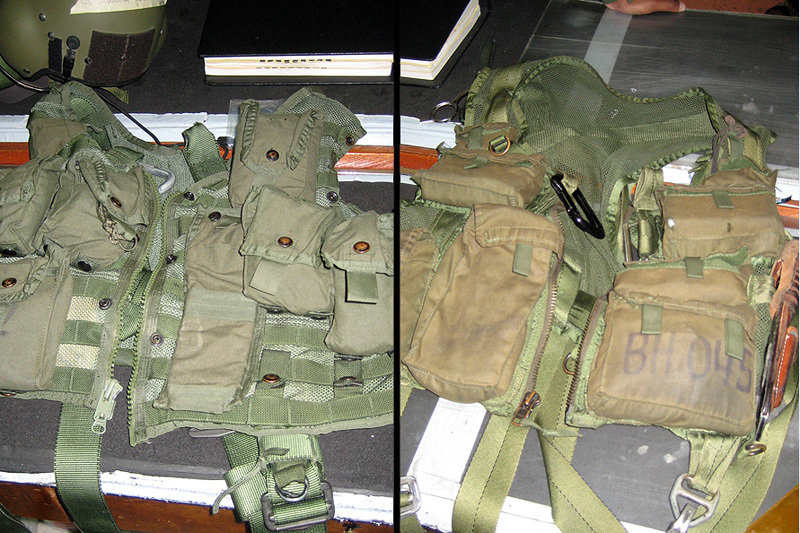 The Aviación Ejército uses 2 types of combat/survival vests, one of them is locally produced the other one the CMU-33/P22P-18 . This vest is often discribed as a the CWU-33/P, but that designation is for the 'Outershell Anti-Exposure Flyer's Coverall Assembly'. Being a part of the help program from the US Army, all equipment has to be according US Army standards, and therefore own modifications are not allowed. The NAS, Narcotic Affairs Section of the US Government in Colombia started the Plan Colombia Helicopter Program. This program helped to train pilots, mechanics, aerial gunners and organizing the Army and Police Helicopter wing in Colombia. 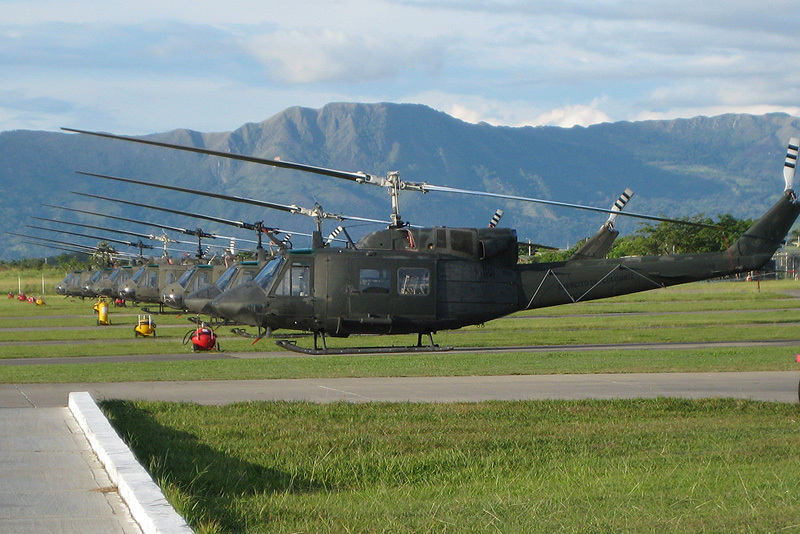 The Plan Colombia Helicopter Program (PCHP), consisting of UH-1N, UH-1H II, and UH-60 helicopters that supported the CD Brigade and, when available, provided support to human rights-certified Colombian military and public security forces. In 2007, Plan Colombia aircraft flew 19,754 hours, carried 36,827 passengers, transported 893,600 pounds of cargo, and conducted 398 medical evacuations of military and civilian personnel. PCHP also provided air support for a number of high value target missions, Presidential security operations and humanitarian relief missions. 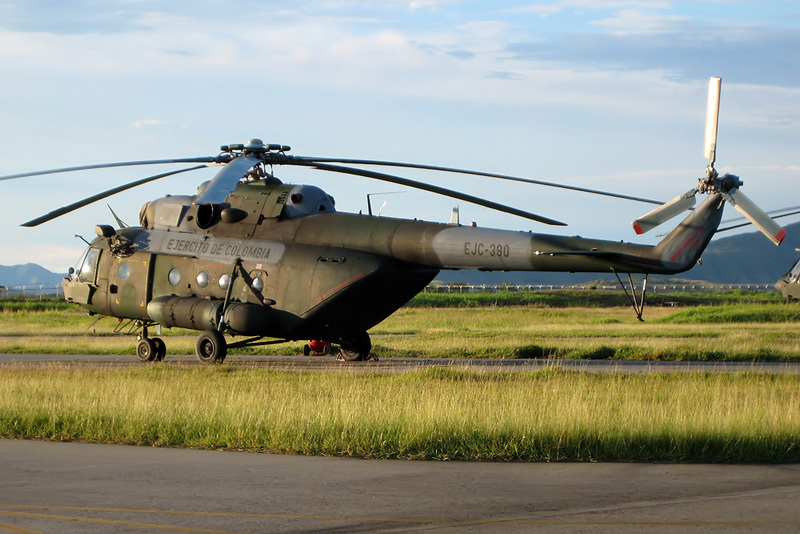 Nationalization of the PCHP has continued with Colombian Army pilots and mechanics assuming over 72% of the work load that was initially performed by contract American pilots and mechanics.